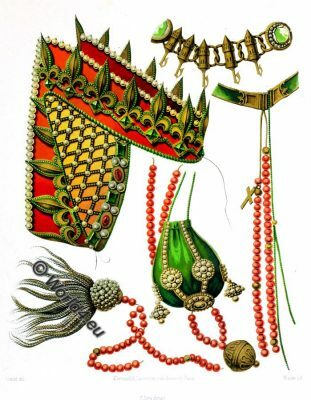 Head-dress, Clasp for a Cloak, Rosary and Alms-box, from a painting by Van Eyck belonging to M. Benoni-Verhelst of Ghent. 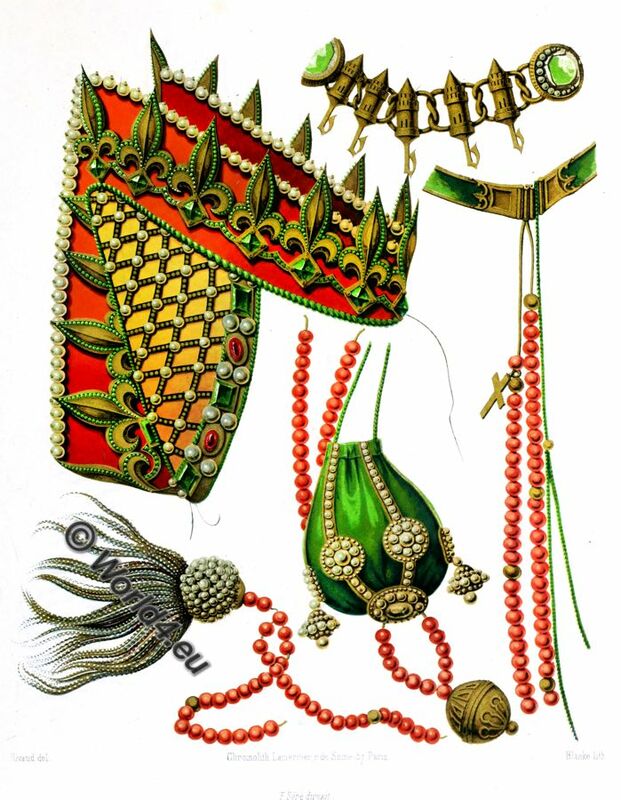 Coiffure, Agrafe de Manteau, Chapelet et Aumonière, d’après un tableau de Van Eyck, appartenant à M. Benoni-Verhelst, à Gand. Jan van Eyck (* circa 1390 in Maaseik – 1441 in Bruges) was a Flemish painter of the Late Middle Ages, and is regarded as the founder and, at the same time, the most famous representative of the old Netherlandish painting. He introduced the new naturalistic art epoch north of the Alps. Because of his completed technique of painting and his sense of naturalism he was even described by many authors as “king among the painters”. German women’s costume history, 15th century.